X-Men: First Class lead the total box office numbers this weekend with $56 million, although some are saying that it didn't do as well as it should have. The film attracted, by far, the least amount of moviegoers for the franchise, but there is still a chance it will pick up and have a lasting effect on the box office. To put it into context, First Class barely beat the first X-Men, which brought in $54.5 million its first weekend back in 2000. If you account for inflation that would be about $80 million today. It also didn't hold up to the others either -- X2: X-Men United brought in $85.6 million, X-Men: The Last Stand brought in $102.8 million and X-Men Origins: Wolverine brought in $85.1 million opening weekend. Comparatively speaking, First Class didn't do well at all. It remains to be seen if it can carry through to the next few weeks and bring up its totals. 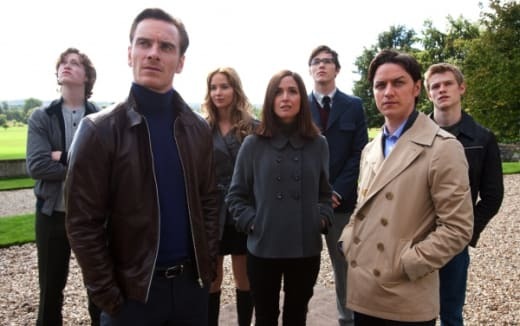 Take a look at our X-Men: First Class review to see what we thought of this X-Men prequel. The Hangover Part 2 brought in another $32.4 million this weekend, bringing its grand total to $186.9 million in two weeks. Kung Fu Panda 2 dropped a whopping 49 percent and only managed $24.3 million in its second weekend. Bridesmaids passed the $100 million mark on its fifth weekend at the box office, bringing in another $12.1 million.